Today's question is: can a non-Christian make meaningful Christian art? 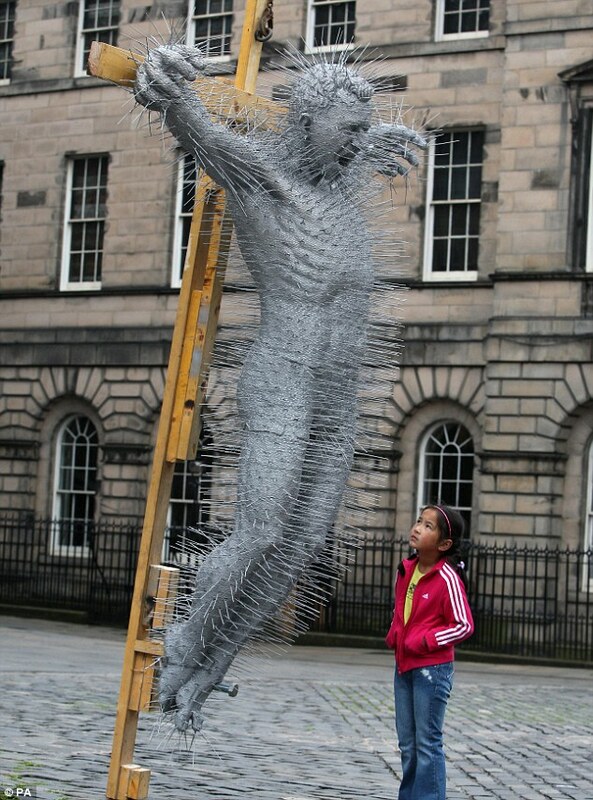 David Mach, a nonbeliever, was commissioned to recreate biblical scenes out of coat hangers to celebrate the 400th anniversary of the King James Bible. Despite the acclaim of art critics, us ordinary folk have trouble shaking images of "Hellraiser." It makes you wonder exactly what Mach is trying to communicate, aside from pain. Anger? Hatred? Torture? Industry? In an interview with the Telegraph, Mach admitted to being "irreligious," and said, "I’m sure I’m going to get accused of hijacking something that I don’t really have massive feelings about. It’s not about me. It’s about what I’m making. If I’m asked for opinions I’ll give them, but look at the work and see if you can get something from there." 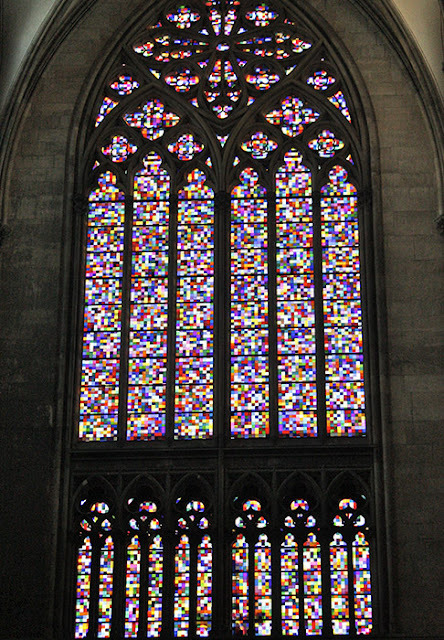 Then there's atheist Gerhard Richter's design* for the transept window in the Cologne cathedral, Germany. The original window was damaged by air raids in World War II. The design* was created randomly with a computer, and mimics a digital "pixel" pattern. I would describe this as iconoclastic, but throngs of critics—and even parishioners—have described it as "spiritual," "contemplative," even "divine." *Design implies intention. Something that is random cannot, by definition, be designed. Massimiliano Fuksas takes the cake with his design for a church in Foligno, Italy. 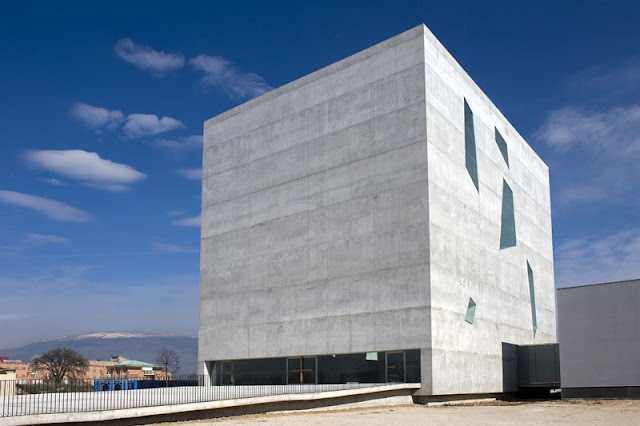 Art critics use words like "modest" and "inspiring" to describe this massive concrete cube. These critics are apparently used to building with alphabet blocks, so that is to be expected. Photos of the oddly claustrophobic interior can be found here. 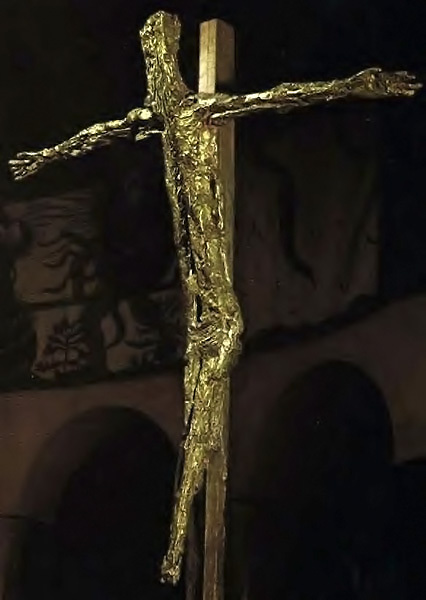 Not to be outdone by her male counterparts, Germaine Richier caused a stir in the 1950s when she created this crucifix for the church of Notre-Dame de Toute in Assy, France. 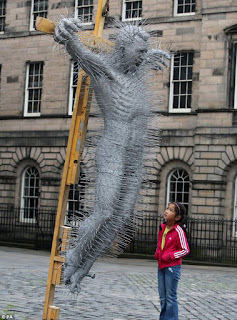 She explained its ugliness as depicting the suffering of Christ. She also explained that the figure has no face because God is spirit and therefore has none. This illustrates why we don't ask atheists to make theological statements for us. After complaints from horrified parishioners, the cross was removed from the church, and immediately became the center of much early controversy as to the role of artists (and their faith—or lack thereof) in the church. The last artist whose work I'm going to show is the odd one of the bunch. Igor Mitoraj produced several huge bronze doors and many other large-scale figurative sculptures in the Renaissance tradition. I've scoured the web for any mention of his faith and came up dry—even his obituary from late last year suggested nothing. But his bronze doors from Basilica di Santa Maria degli Angeli in Rome struck me with their classicism. And while employed with a kind of surrealist, postmodern flair, the Christian symbolism also struck me so much that I cited this door in my thesis. 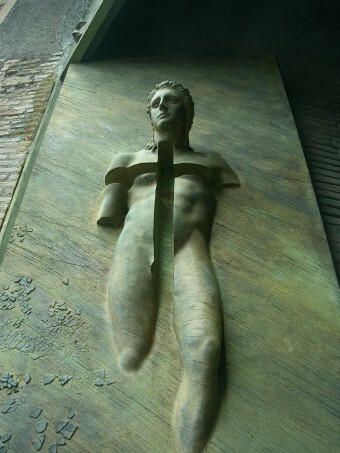 Here is a resurrected Christ figure, reminiscent of Greek gods (and early Christian depictions), but bearing the empty shape of the cross in his body. There are countless examples that I either am unaware of or have passed over—especially in the architectural realm. The point I'm trying to make is that nonbelievers have made it apparent to believers that their grasp of Christianity is extremely shallow. Even if we didn't have the evidence before our eyes, we know that these truths are only made known by the Spirit, through faith.